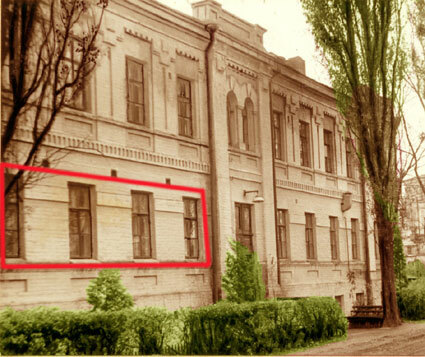 The building in Kyiv suburb of Feofania, where Lebedev's laboratory was located and MESM computer was created. The first electronic counting machine in continental Europe. Designed under the leadership of Academician S.A.Lebedev (Kyiv, Ukrainian National Academy of Sciences, 1948-1951).